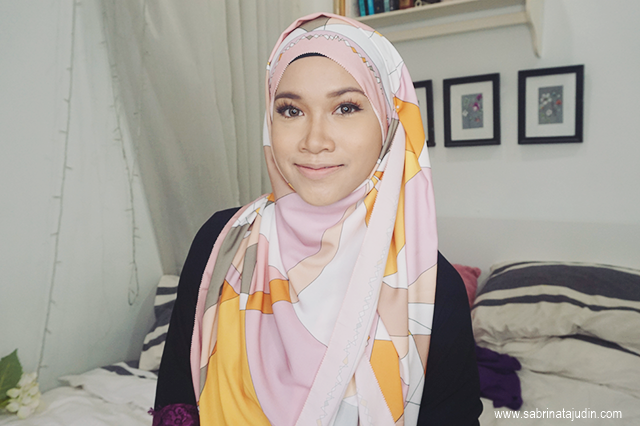 Nora Danish has also jumped in to Muslim Fashion industries! She have launch her own Muslim clothing line by the name Owl by ND. So I could not resist my self from trying them out, I got some for y self. I picked 1 style from the ND Lavish Love Collection & 1 style from the Love me Not Collection. The Lavish Love is a square scarf with a measurement of : 114.3cm x 114.3cm. The purple one is from the Love me Not Collection and it is a rectangular shawl. The measurement is 173x60cm. There are more collection such as ND Cleo Me & ND Blossom For Us. 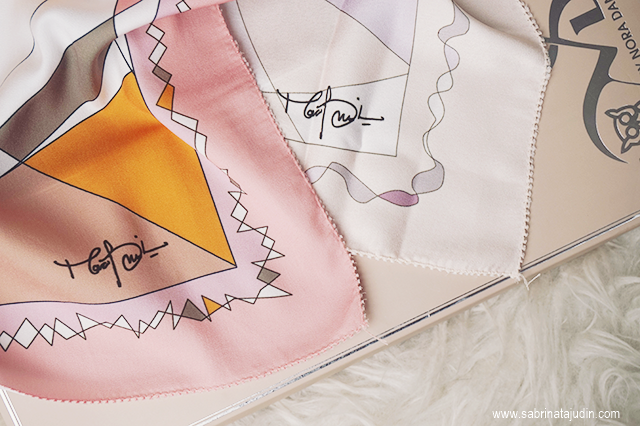 All of her shawls are exclusively design and printed. I love how each shawls comes with a box. They look really exclusive! 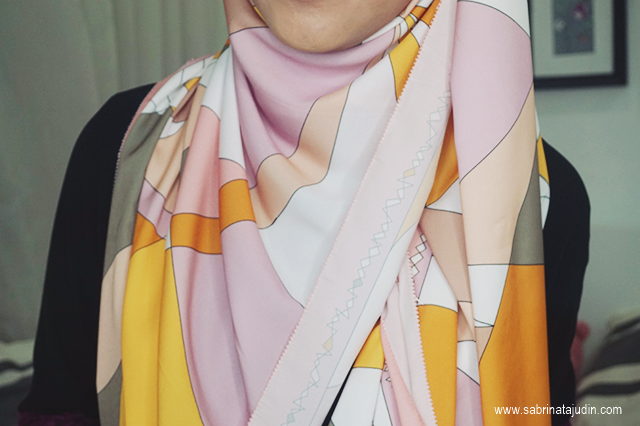 Also I love the detailing of this shawl with Nora Danish signature on it. I love how vibrant they are and I think it is a great piece to be worn with a simple black abaya or dress which I usually go for. Each of these shawls from the ND Lavish Love Collection retails for RM149.00 each. I love the design of OwlbyND but sometimes I sense a similar style to Duckscarves. Anyway, you look pretty in that hijab! Ya Allah cantiknya shawl ni. Tapi serious tak mampu. kena buat wish list dulu.